The tide seems to be changing for TRON (TRX)... The Economic Forum had a lot of negatives things to say about the project so if you're heavily vested in ti it may be time to jump ship. I'll be going into more depth about the whole situation in my next video but figured I'd mention it ASAP. 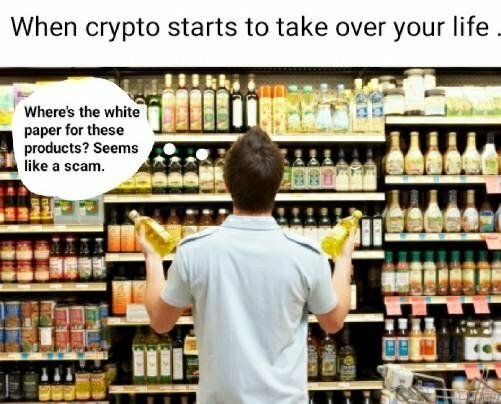 I also talk about SCAMS and day trading cryptocurrencies. i really hope you can finally answer my comments , i know you busy but i still need to know are we still in this 1000 a day ? It would be great if you could give back, mate. Vincent, we love watching your videos and really look forward to them every evening. People calling so many coins a scam dilutes the term. This is harmful to the community and makes it more difficult to really identify what is a scam and what isn't, which can cost people a lot of money. Thanks for continuing to be a voice of reason. Like the new blue background today too. I just got into steemit because of you. Just wanted to say thanks for posting your videos and for the immense value, you bring to the community. I was thinking not only is there a bit of bad news for the crypto market with new taxes etc surely with the rise of all these new alt coins and more people jumping on the band wagon, there will be more crypto available so will reduce the overall value of the market. so therefore people need to be spending crypto rather then just saving and transferring it. This post has received a 27.41% upvote from thanks to: @elpompador. You got a 75.62% upvote from @mercurybot courtesy of @elpompador! I think ETC will go up soon. I just used "vincentb" tag. Great idea but lets all observe the rule of upvoting each other. This post has received a 28.75 % upvote from @booster thanks to: @elpompador. Yeah its pretty crazy at the moment huh V? the moment she seems like she is going up this pullback wants to show its teeth again. All those seasoned China traders pulled out when the ICO crack happened, i think the same is probably true for Korea, they just backed out while the politics sorted itself out - those seasoned "oriental" whales, if we may call them that are still there, they are probably just waiting for everything to sort itself out. And the politics itself, just sparked a bit of fear in the west, causing stop losses etc. But hey, interesting times, good bottle of wine helps with the temporary losses at the end of the trading day huh?